小弟第一次用AMD, 買咗1條Crucial 16GB. Boot 到機無問題. 你果條既2133 版, asrock 個 QVL 係有的. 只set boot priority ... 無OC, 無搞其他特別嘢. 即係set 慢啲... 或已經係default 2133就ok. 今晚check 下先. 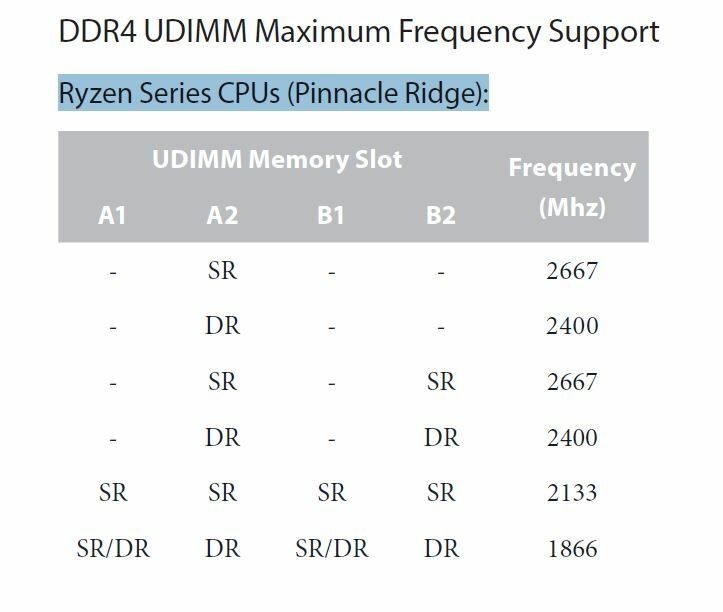 另外如果條RAM 係 DR, 我塊MB 係唔係最快只可以行到2400 ? 賽後報告: 買多1條 (2*16GB), 行到2666... 謝各位 !! GMT+8, 2019-4-24 12:46, Processed in 0.069998 second(s), 4 queries.